Looking to buy or sell a property in Florida? You are in the right place! Find your dream property in a click with our area quick links below. Renee is the Greatest! She is all about her customers what ever it takes to get the deal done. See I live in Colorado and wanted to buy a vacation rental property in St Pete, I needed someone who understood what I was trying to do and my budget. In a short time Renee was touring properties and giving thumbs up or down.... next thing you know I was making a offer and purchasing my Florida property! I never second guess my decision because I knew Renee had my back....... So Thank You Friend! With out a doubt, the best realtor in the Tampa Bay. Renee puts her heart and soul into each of her clients and she will not stop until the deal is done!!! 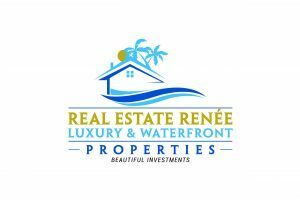 Renee is an outstanding realtor, who is extremely attentive and passionate about making sure her clients are completely satisfied with their purchase or sale of their real estate. Her drive to ensure you get the home you're looking for or to sell your property for top dollar is second to none, combined with her work ethic of being there for you when you need her the most. If you're looking for a realtor that actually cares about your situation, look no further and call her now! Renee is the best realtor! She was patient during the process when I had no idea what I wanted. She gave me helpful tips and walked me through what could have been a stress time. I had peace and comfort knowin she always had the best interest for my family. I took hours of her time and she always made me feel like I was important and looking at houses was a priority to her! I am thankful to call Renee my realtor and my friend!